Dirty to Mighty is a response to two major issues Australia faces in relation to energy and sustainability. 1. Australia’s declining oil production with merely 3.9 billion barrels of proved oil reserves (0.2% of the world) coupled with the increasing oil consumption, exceeding 1 million bpd of oil in 2011, pose a threat to the country’s energy security. At this rate, self-sufficiency in oil is predicted to drop from the current 50% to 20% by 2020. 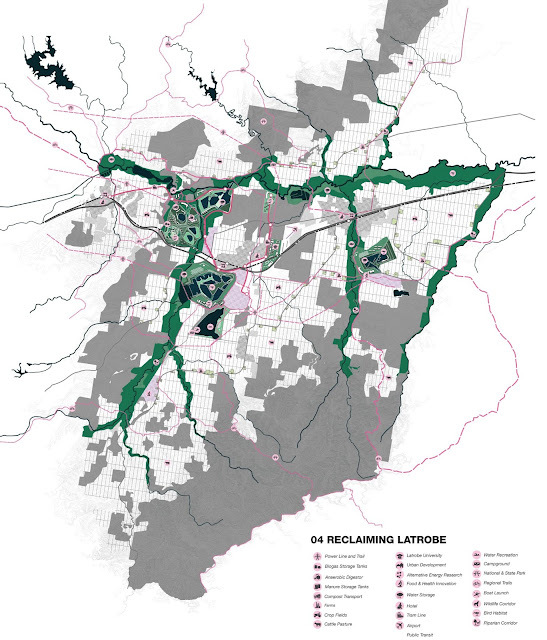 How can Latrobe City act as the key catalyst in providing a solution to such critical and urgent problems? Currently, the power stations in Latrobe Valley together emit around 65 Mt of carbon dioxide each year. The stations, however; cannot simply be terminated as they generate 90% of Victoria´s electricity and employ 3100 people. In addition, the area is gifted with 65 billion tonnes of brown coal with an estimated 33 billion tonnes to be “potentially economic”. Dirty to Mighty proposes to use brown coal to produce not only electricity but also liquid fuel as well as many other high value products, while utilizing the CO2 released during the conversion process into additional products including oil, creating a highly viable yet sustainable means of achieving energy security and economic diversification. Brown coal becomes the essential element leading to a completely new vision of Latrobe Valley which utilizes its abundant natural resources without compromising environmental impacts. Along the axis of the provided site, the project introduces a technological corridor of research/innovation facilities focused on the liquefaction and gasification of brown coal as well as the sequestration and conversion of carbon dioxide. In Water Wars, Vandana Shiva describes the possibility of water management for the use of a larger public. An integrated ecosystem and way of life exists in one part of the Rio Grande Valley where other water systems have been privatized and divided the larger landscape. As populations in dry landscapes grow, water rights cause conflict and a rush to ‘land grab’ access to viable water systems. Shiva uses Gujarat and Punjab as case studies in the problem arising between large populations, dropping water tables and the privatization of the remaining natural resources. Climate change shows, however, that water issues develop in every region, not simply in already challenged or established crisis zones. 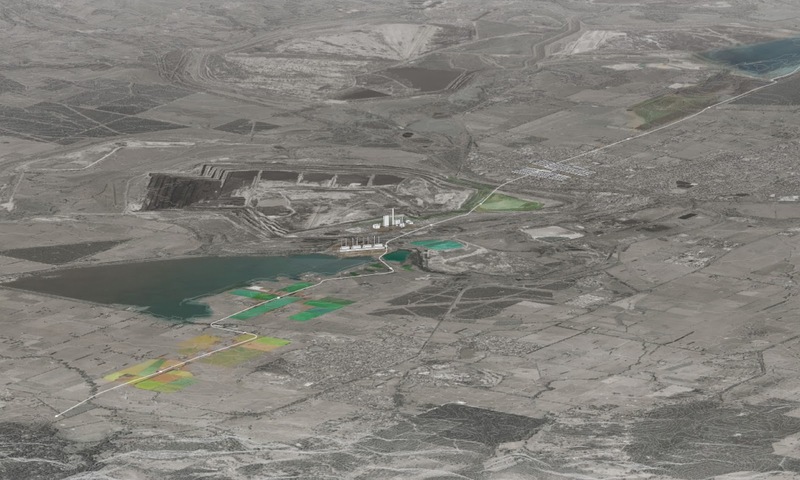 The Latrobe Valley presents a unique landscape whereby the abundant natural resources have been historically sold for profit, first for local energy consumption and now for the global market. Water here, in fact, is an impediment to the extraction of coal for cheap energy consumption, and so large swaths of land have been de-watered, causing the water table to drop over 50 meters. 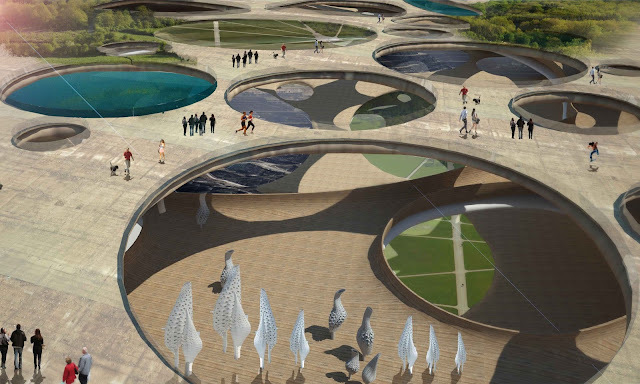 The new artificial landscape, revealing the hidden ecology, does provide an opportunity to rethink the relationship of living space to water. 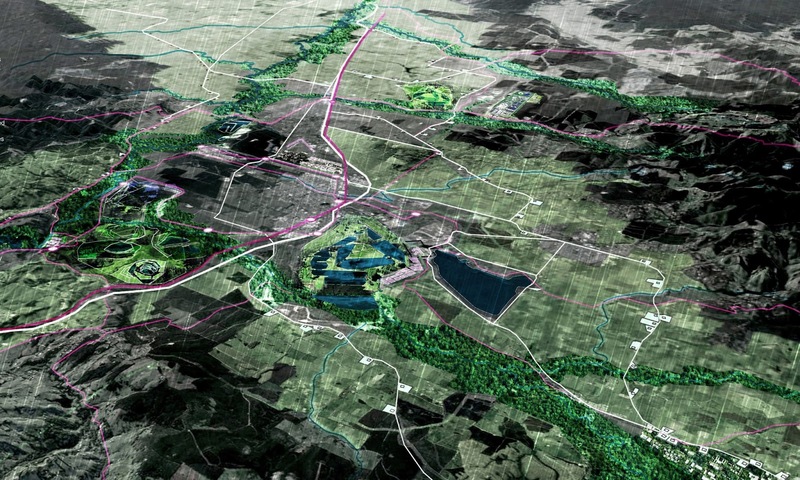 This project re-imagines the Latrobe Valley as an interconnected hydraulic network. 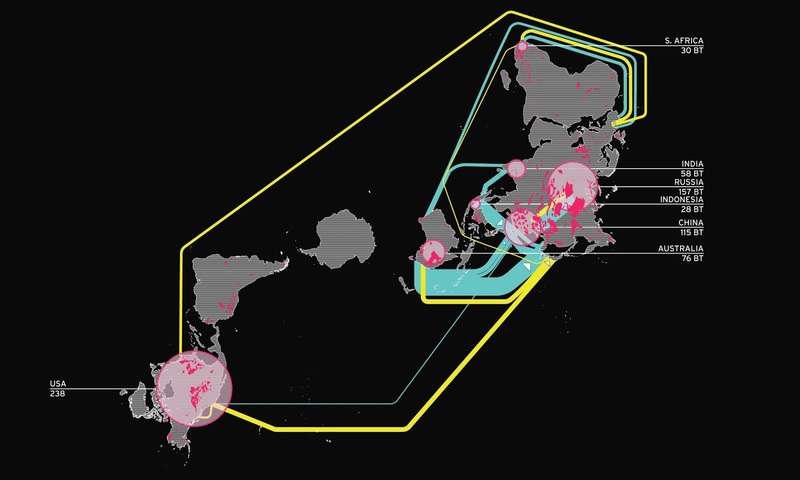 While the current infrastructure acts to separate uses and flows of the entire region in order to facilitate the transport of goods, a slight alteration of the larger landscape quickly transforms the region into an infrastructural space that is decidedly public and connected with the everyday living condition. 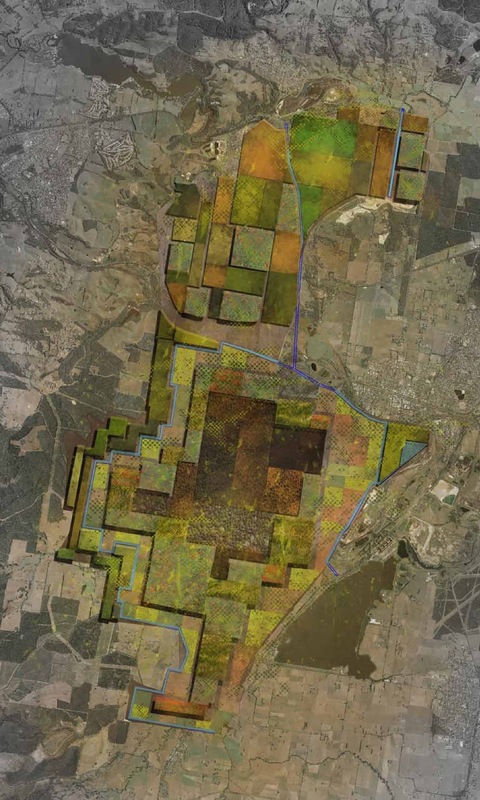 Four distinct zones along a section of the valley- Sport, Morwell, Water Treatment, and Solar Pillows describe new ways in which to take advantage of the subtractive landscape. Reimagine rural region, revolutionized by rehabilitated mines and redesigned landscape. Rebirth of reforestation and reconstruction of nature, recycled and regenerated energies. Remains are restored, to retain regional reminiscence. 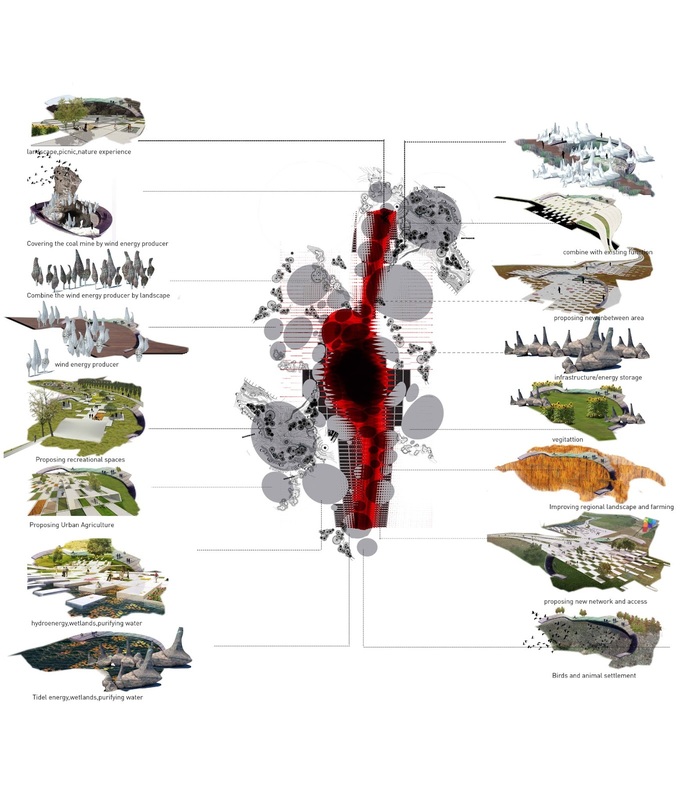 Reproduce opportunities for future growth through reworking and reactivation of rhizomatic infrastructure. By rebuilding an innovative residential region which integrates agriculture with industrial, Renaissance of Latrobe is now a reality. Rebirth takes place over a period of time. A timeframe is implemented; through which the site evolves and is mediated for future change. These stages involve the participation and expertise of local miners and the machines they use on site. Doing this over stages means the reactivation of certain sites while others are under construction. Future growth takes into account rethinking the amount of carbon emissions released and employs means of reduction. Transforming Latrobe Valley into an Eco-Hub, through considering renewable energies such as wind turbines, carbon capture devices, indigenous plantations and the reduction of carbon emitted as the main contributing drivers. Reducing the amount of carbon emitted through the gradual retreat of coal industries will see the closure of some of Latrobe’s mines. In these instances mining rehabilitation will take place to rejuvenate the landscape and bring new life to it. The restoration plan will take effect using the mining equipment available on site, and will include the redevelopment of these open spaces over time. Providing an array of choices such as scenic and direct pathway routes; benefiting both the residents and visitors by enabling journey choice, also incorporating a range of shade, shelter and seating that provide opportunities for temporal social interaction to take place on site. Celebrating the history and culture of towns, by generating design that takes into consideration and retains the rural township identity of the site. This is done by the introduction of submerged dwellings, which do not interrupt the existing dairy farmland functions, but build on existing and future networks. The future will see a further development of the agricultural food production industries on site. Through the expansion of these farmlands and promoting the growth of Indigenous crops, which are well suited for local areas, requiring little maintenance. They also support the biodiversity that is important for maintaining healthy ecosystems. Crop production will positively impact the economy, as well as make way for a more resilient network of townships. Gradual expansion of the public transport system, in an effort to promote linkage between small and main towns in the Latrobe Valley; providing services for new residential developments on the fringe of expanding main towns, and connecting main touristic attractions along the way. By promoting diversity and expansion of local industry and economies within the Latrobe Valley the aim is to create a region that depends on a varied amount of mini-industries to fund regional growth. Creating smaller networks that function at small scales within the Latrobe Valley is vital to this, turning local produce into local food, local timber from local plantations and so forth. Tourism also has the potential to bring in substantial funding due to the close proximity of the Melbourne Metro Area. Exploring the potential of a network system to organise and link the existing fragmented leisure and shopping programmes. Farmhouse typology is re-interpreted; transforming barns and sheds into social entities. It offers an alternative to single family houses by establishing a mixed community. The communities are big enough to cope with the large-scale growing infrastructure. New leisure activities in the plain start restructuring the forest. The existing tree grid will be varied and renewed through a strategic and programmatic calendar. Plant diversity helps resistance to invasive plant species, but also enables inhibition of deadly fungal and viral infections. Carbon sequestration is enhanced by biodiversity with increased biomass.